Company intelligence provider DataFox has launched Account Scoring, designed to help businesses find and prioritize best-fit targets. As ABM strategies grow in prominence, marketers are faced with the challenge of predicting accounts to prioritize, which leads back to having a robust data foundation. The Account Scoring solution from DataFox is designed to use AI, user submissions and human verification to build this set of account data and a scoring system that is controllable and empowers the whole marketing team. With Account Scoring, companies can leverage not only DataFox-sourced company data but also their own data, by importing company prospect spreadsheets and ingesting their CRM account lists via a Salesforce integration. By combining both DataFox data as well as their own internal indicators, the solution aims to help clients build more robust account prioritization models without the painful data grunt work that is normally required to do these analyses. 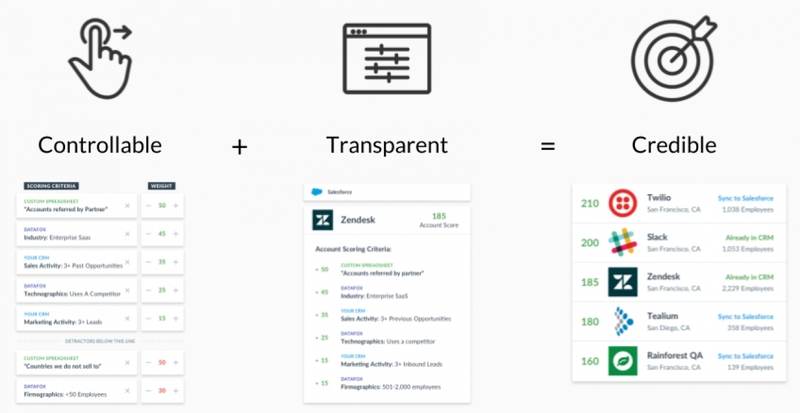 The ability to create and apply weights to as many criteria as you’d like and prioritize accounts accordingly. Users can update the model themselves at any time. Transparency to build reps’ confidence in scores, provide easy talk tracks and drive feedback. Automation to keep scores up-to-date across the user’s CRM and marketing automation platforms. The DataFox Account Scoring is compatible with any internal data set, but the company also offers a native integration with Salesforce. DataFox customers start with the DataFox Platform, which offers company and signal intelligence. Customers can then add powerful features (such as Salesforce Orchestration & Account Scoring), as well as additional data sets (such as Technographics and Conference Intelligence). Pricing depends on the size of the customer, their data volume requirements and the workflows they unlock. Current DataFox customers include LinkSquares, Salesforce, 6sense, Invoca, Toyota, Intel and UPS. DataFox data is designed to be the backbone of users’ ABM strategies. According to the company, Account Scoring provides a synthesis layer that leverages both DataFox and client CRM data to deliver a unified view of best-fit accounts across systems, leading to greater sales and marketing alignment and bigger deals.